PALO ALTO UNIFIED SCHOOL DISTRICT. Elsa H. Jones, Administrative Law Judge, Office of Administrative Hearings (OAH), heard this matter on October 1-3, 2013, and on October 21, 2013, in Palo Alto, California. Student and Parents (collectively, Student), were represented by Jeffrey A. Gottlieb, Attorney at Law. Parents were present on all hearing days. Palo Alto Unified School District (District) was represented by Laurie E. Reynolds, Attorney at Law. Holly Wade, Ph.D., Director of Special Education for the District, was present on all hearing days. Student filed his Request for Due Process Hearing (Complaint) on May 28, 2013. On June 18, 2013, for good cause shown, OAH granted the parties‟ joint request for a continuance of the matter. Sworn testimony and documentary evidence were received at the hearing. At the request of the parties, the hearing was continued until November 20, 2013, so that the parties could file written closing briefs. The parties timely filed their written closing briefs on November 20, 2013, at which time the record was closed and the matter was submitted for decision. 1 For the sake of clarity, the issues have been re-ordered and re-worded as compared to how they were stated in the Prehearing Conference Order. 1. Student is an 11-year-old boy, who, at all relevant times, resided with his family in the District. At all relevant times, he has been eligible for special education as a Student with a primary eligibility of autism. 2. In April 2004, when Student was approximately 22 months old and living with his family out-of-state, he had an allergic reaction to Augmentin, an antibiotic he had been taking for an illness. He was hospitalized for three days in the intensive care unit of a local hospital. When the Student was discharged, he was prescribed prednisone, and Parents were advised to keep it on hand at all times in case Student had an allergic reaction. After this event, he began to display symptoms of developmental delay. He was first diagnosed as a child with autism when he was approximately two years old. 3. Student’s autism has resulted in severe developmental delays. He is nonverbal, and he often communicates by verbal outbursts and screams. He does not attend or follow directions, and he frequently engages in self-stimulation. He frequently picks up items, whether edible or non-edible, puts them in his mouth, and sometimes ingests them. At hearing, various witnesses referred to these acts as “pica” or “pica behavior.” The evidence was unclear as to whether Student had true pica, which is a constant perseverative need to actually consume non-edible objects and which interferes with everyday functioning. However, as of October 2011, Student had from five to 19 episodes of object mouthing per day at school. Due to his disabilities, Student is unable to discern which edible or non-edible items are harmful to him. Throughout his life, he has suffered from allergies to a variety of foods, including dairy, and Parents have been careful regarding his diet and his environment. For example, 99 percent of the food items in the home were allergen-free; the family wore gloves when eating food containing allergens and the remaining food was washed down the sink; the family engaged in frequent hand washing; they requested visitors to wash their hands when they entered the house; they prohibited anyone from wearing shoes in the house; and they prohibited visitors from bringing food into the house. 4. Parents or a caregiver accompanied Student when he was away from the house. Parents instructed Student’s caregivers, some of whom were students, or were individuals located through Craig’s List, regarding Student’s needs and the precautions required to avoid exposing Student to allergens. For example, when he was out of the house, Parents and caregivers would either hold Student’s hands or tell Student to fold his hands or put them in his pockets. Student was able to safely go to the park, attend an art class, go grocery shopping with Mother, and go to restaurants and an amusement park. 5. Student and his family moved to California when Student was approximately five years old, and Student has attended schools at various times in various school districts in California since then. During the 2010-2011 school year, when Student was eight years old and in third grade, the family resided in the Lafayette School District (Lafayette). Lafayette placed Student in The Bay School, a non public school (NPS) which was approximately 75 to 80 miles from the family home. The Bay School provided Student an intensive ABA program. Parents rented a hotel room near the school and one Parent would reside there with Student during the week while he attended the school. Parents attempted to make the rented hotel room allergen free, by, among other things, cleaning the room and bringing their own bedding, and by not wearing shoes in the room. Student ceased attending The Bay School in approximately March 2011. 6. Student and his family moved to the Pajaro Valley Unified School District (Pajaro Valley) in approximately spring 2011. In May 2011, Student’s IEP team in Pajaro Valley placed him at H.A. Hyde, a Pajaro Valley public school. He made progress on his IEP goals there. During the 2011 extended school year, Student had two incidents of allergic reactions. The first incident occurred on June 30, 2011. As he opened his lunch from home, Student began to sneeze, cough, and rub his nose. He had hives and red blotchy skin on his cheeks, chin, and forehead. A school nurse observed him and monitored his symptoms, and they decreased within seven to 10 minutes. 7. The second incident occurred on July 8, 2011. Student had been observed licking a ball, his arm, his hand, and rubbing and pinching his tongue. He then ate a snack from his backpack. Almost immediately, Student began to cough and sneeze, and hives developed on his face. His right eye swelled, and he had a small spot on his abdomen. He had no difficulty breathing, but he was lying on the ground and was uncomfortable. The school nurse arrived and she gave a 10 mg. Zyrtec tablet, pursuant to a doctor’s order previously obtained by Pajaro Valley on behalf of Student. Within five minutes of the administration of the Zyrtek, the hives on Student’s face had disappeared, and Student was sitting up. Fifteen minutes later, Student had resumed playing. Only the spot on his abdomen and some right eye swelling remained. Pajaro Valley contacted Parents with respect to both of these incidents. Student remained at school for the remainder of the day after these incidents. 8. These two incidents were the only documented events of Student having any allergic reactions while on a school campus. After these events, Parents requested that Student be educated at home, and Parents and Pajaro Valley engaged in discussions regarding whether Student should continue to be educated at school. As part of these discussions, Parents obtained letters from A. Bokszczanin-Knosala, M.D., James Y. Chou, M.D., and Robert J. Sinaiko, M.D. to support their request that Student be educated at home. 10. Student’s pediatrician, Dr. Chou, from the Department of Pediatrics of the Permanente Medical Group, Inc., wrote a letter dated August 16, 2011, also pertaining to Student’s allergies. Dr. Chou had been Student’s pediatrician since January 2011. In his letter, Dr. Chou represented that he had reviewed Student’s medical history, diagnosis of autism spectrum disorder, past history of severe allergies, recent laboratory test for allergens, and recent observations from the school nurse about allergic reactions. The letter summarized the July 8, 2011, event at school. Dr. Chou then explained that since Student had autism, and often touched things and placed things and hands into his mouth, it was almost impossible to provide a safe and sanitary environment for him. Further, since he could not understand, or communicate with his teacher, it was almost impossible to know what he did, touched, or ate, or placed in his mouth. Therefore, given his history and allergy tests that showed some food allergies, and the recent classroom incidents of allergic reactions, options had to be developed to minimize chances for future allergic reaction “which can be much more severe.” Dr. Chou “strongly” recommended home schooling, due to the greater environmental control, closer observations, and faster and more appropriate reactions to Student’s allergies that would be provided at home. Finally, Dr. Chou expressed the opinion that, in a school environment with so many other children with disabilities, it would be very difficult to maintain good hygiene. 11. Dr. Sinaiko wrote a letter report on October 31, 2011, which expressed his evaluation of Student’s allergic condition. Dr. Sinaiko received his B.A. from Brandeis University and his M.D. from Loyola University Stritch School of Medicine in Chicago. He is board certified by the American Board of Internal Medicine, and the American Board of Allergy and Immunology. He is an Assistant Clinical Professor in the Department of Medicine, School of Medicine, at the University of California, San Francisco. 12. Dr. Sinaiko’s report was based on a meeting with Parents, a brief visit with Student, primarily to ascertain to Dr. Sinaiko’s satisfaction that Student had autism and was non-verbal, and a review of Student’s medical records. 13. Dr. Sinaiko’s report stated that Student was severely autistic and severely allergic. His report noted that on several occasions Student had experienced systemic anaphylactic reactions due to contact with ingested allergens. Dr. Sinaiko believed that some of Student’s anaphylactic sensitivities were clearly ascertained through inadvertent oral food challenges. Dr. Sinaiko noted that Student’s allergy to dairy products was further documented by positive results on the radioallergosorbent test (RAST), a widely accepted in-vitro laboratory methodology for the diagnosis of anaphylactic sensitivity. Dr. Sinaiko reported that the correlation of anaphylactic allergy to oral food challenges such as Student had exhibited, and positive RAST results, was well established according to the scientific literature. 14. Dr. Sinaiko characterized the two allergic reactions that Student had experienced while attending school in Pajaro Valley as anaphylactic reactions. The report noted that no provoking allergenic exposure was documented regarding the June 30, 2011, event, but that the second event, on July 8, 2011, occurred after Student had licked a ball, which another child had likely contaminated with food. On both occasions, Dr. Sinaiko reported that classroom personnel administered an oral antihistamine, and Student recovered. 15. Dr. Sinaiko recommended that certain factors be considered in determining an appropriate environment for Student: (1) The severity of anaphylactic sensitivities often tended to increase over time, and reaction may progress unpredictably to life-threatening respiratory arrest; (2) Oral antihistamines and injected epinephrine could be ineffective in severe anaphylactic reactions, consequently, except for the complete avoidance of potential triggers, there was no fail-safe way to prevent a fatal outcome; (3) The complete set of allergens that provoked Student’s anaphylactic reactions could not be fully known with certainty; (4) Student, being non-verbal, could not verbally warn school staff when he felt symptoms; (5) Student had pica, which Dr. Sinaiko defined as a tendency to place random objects in the mouth; (6) Two anaphylactic reactions had already occurred, despite reasonably preventive measures by school staff; and (7) The July 8, 2011, event, in Dr. Sinaiko’s opinion, demonstrated that the presence of other children could render ineffective classroom efforts to prevent “unpredictable and potentially life-threatening classroom exposures” to Student’s allergenic triggers. 16. Dr. Sinaiko’s report concluded that it was unlikely that a school could assure an adequately protected environment for Student, and that educating Student at home was the only safe course of action. The report noted that Parent had created a suitable home environment to prevent Student’s exposure to unknown and suspected allergens. 17. Student continued to attend a Pajaro Valley school until Parents withdrew him in December 2011 and kept him at home. From December 2011 through the time of the due process hearing, Student has been educated at home and has not been in a school environment. 18. In May 2012, Pajaro Valley obtained an evaluation of Student’s allergic condition from Vivian Saper, M.D., with Parents‟ consent and at Pajaro Valley’s expense. Dr. Saper received her B.A. from Brown University, and her M.D. from George Washington School of Medicine. She is board certified in pediatrics, allergy and immunology, and pediatric rheumatology. She is on the medical staff of Stanford University Hospital and Packard Children’s Hospital, and is a Clinical Associate Professor of Pediatrics at Stanford University School of Medicine. 19. Dr. Saper’s report was designed to render an opinion of Dr. Chou’s recommendation of home schooling by evaluating the nature and severity of Student’s allergies in relationship to his personal safety in the school environment. Her report was based on a physical examination of Student, parent interview, a review of Student’s medical records, a discussion with Ms. Kilpatrick, the Pajaro Valley nurse, and skin testing she performed on Student. She spent approximately three hours performing these activities. 20. Dr. Saper described Student as a severely autistic child with global developmental delays who was non-verbal and had pica. Student’s current behaviors included significant pica, and that Mother had found various objects in his bowel movements. Based on Student’s history, Student’s allergic reactions had been local swelling and scattered hives on his body that had resolved with the administration of antihistamine. He had no history of respiratory compromise, associated gastrointestinal symptoms, vocal changes, alteration of consciousness, or other cardiopulmonary symptoms at the time of an allergic reaction. She reported that it was not known how severe a response Student would have if he had an inadvertent serving of a food to which he was allergic. Dr. Saper’s report stated that Student never had an anaphylactic event, and that he had an Epi-Pen prescribed and available for use. 21. Dr. Saper’s report listed the results of prick skin testing she had performed at her office. Dr. Saper’s testing showed positive reactions for the following foods: milk, peach, avocado, celery, peanut, hazelnut, pecan, cashew, almond, walnut, wheat, and sesame seed. Student showed significant positive reactions for the following aeroallergens: cat, dust mites, tree pollen mixture, weed pollen mixture, birch tree pollen, mold mixture, privet pollen, olive tree pollen, and grass pollen mix. She noted that some of the positive skin test results were “quite huge,” especially milk, birch tree pollen, and tree pollen mix. She also reported that, during the testing, Student developed some hives around the skin test sites and a few scattered hives elsewhere. The hives resolved when Zyrtec was administered. 22. Dr. Saper confirmed, by history and skin testing, that Student had food allergies. She also reported that the clinical history and the skin tests supported aeroallergen sensitivity, and the acute hay fever-like symptoms he exhibited during the summer 2011 allergic reactions at school were likely due to exposure on that morning. She based this conclusion on the facts that the symptoms either subsided spontaneously or diminished significantly with an antihistamine and were not associated with unknown food ingestions. Student easily developed hives, and the hives that occurred during the two occurrences at school were consistent with nasal and ocular aeroallergen related symptoms. The report further commented that Student’s stone fruit, celery, and avocado allergies aligned with similarities in allergen structure between birch tree pollen and those food items. There was also cross-reactivity with hazelnut and birch tree pollen. In her analysis, Student appeared to be among those birth tree pollen sensitive individuals who also exhibited clinical allergy to such food items. On the other hand, Student’s low positives by skin test and blood test to various grains such as wheat, without a history of allergic reaction, were common in individuals with grass sensitivity. Dr. Saper concluded that Student did not have a food grain allergy. 23. Dr. Saper recommended that in both the school setting and outside of the school setting, Student needed to avoid those food items to which he was allergic and those that carried a high likelihood of allergy. She identified these foods as milk and all dairy, peach, avocado, celery, other stone fruits, and the nuts he currently avoided, especially including hazelnut. She acknowledged that it was unclear what would occur should Student ingest a significant amount of any of these items. The report commented that since Student was non-asthmatic, he was at a lower risk for a life-threatening reaction, however, his pica, lack of language skills, and autistic behaviors placed him at increased risk of accidental ingestion. Therefore, Dr. Saper wrote that “vigilant caution” to provide a safe environment free from these specific foods was required. However, she did not expect that casual exposure without ingestion would cause a serious adverse reaction. 24. Dr. Saper noted that Student had not experienced a significant food-related reaction or any systemic anaphylaxis. She recommended that Student have an Epi-Pen available and school personnel and family should know how and when to administer it. She also recommended that, if Student attended school, Student be closely supervised to avoid those foods to which he was allergic, that Parents provide his food, and that his eating area should be cleared before he ate his meals and snacks. She also recommended ongoing allergy care to monitor Student aeroallergen sensitivity, but his allergic response to those sensitivities was not sufficiently significant to recommend a non-school educational setting. Overall, Dr. Saper’s report reflected that, based upon her conversation with the Pajaro Valley school nurse, Student could be provided a safe environment at school. Therefore, it was up to the school district and Parents to determine Student’s educational setting, based upon educational and social concerns. 25. Ultimately, Parents and Pajaro Valley negotiated a resolution of their dispute, and the resolution was documented by a one-page IEP amendment dated August 28, 2012. The IEP amendment stated that Pajaro Valley would provide Student a home program, to consist of 15 hours per week of ABA instruction in the home, two hours per week of supervision of the home ABA program, two hours per week of LAS therapy, and two hours per week of OT. Parents consented to this IEP amendment. The IEP amendment was not the result of a formal IEP meeting, and the IEP amendment stated that Parents waived any such meeting. 26. Student’s home schooling has consisted entirely of an ABA discrete trial training program. Discrete trial training is a highly structured, data driven, one-to-one early intervention program that teaches skills by breaking them into small increments. The child learns by responding to each task request and immediately receives reinforcement for good performance. The goal of discrete trial training is to teach a child how to learn and to prepare the child to participate in a classroom environment. The discrete trial training was provided by a private provider for a period of time, and thereafter by Mother. Mother has had no formal training as a behaviorist. Student has also been receiving clinical LAS and OT while he has been home-schooled. 27. In early 2013, Student’s family moved from Pajaro Valley into the District. District is in a different special education local plan area (SELPA) from District. Student enrolled in the District on March 26, 2013. After Student enrolled, Parents provided to the District the letters written by Dr. Knosala, Dr. Chou, and Dr. Sinaiko. 28. At the time of the hearing, several hundred children, including approximately 30 special education Students with anaphylactic allergic reactions were enrolled in the District. All such children attended school; none of them were on home hospital or on an in-home program. Linda Lenoir, the District nurse, trained teachers and staff at each District site two or three times per year regarding allergies. Ms. Lenoir has been a licensed registered nurse for 38 years. She obtained her B.S. in nursing from Indiana University-Purdue University Indianapolis. She received a master’s degree in child and adolescent mental health and counseling from the University of California, San Francisco, and she received her school nurse certificate from San Jose State University. She has been employed by the District as a nurse for 24 years. During her career, and prior to becoming employed by the District, she worked in a hospital for three to four years in the medical, surgical, and pediatrics departments. As a District nurse, she was responsible for 18 school sites, covering pre-school through 12th grade. Her duties included the development of all health forms, overseeing the completion of health forms, and staff trainings. She regularly attended school nurse conferences which include training on allergies and anaphylaxis. She also received training from local physicians who occasionally came to the District and provided information about allergies. 29. The training Ms. Lenoir provided to school staff regarding allergies involved instruction on District protocols, including the District protocols for use of an Epi-Pen, which were developed with input from physicians. Ms. Lenoir provided these trainings annually at all school sites. Ms. Lenoir also trained staff in the particular steps to follow regarding the health needs of a particular child. Those steps would be set forth in a child’s health plan, which the District developed in conjunction with the child’s physician. In the case of a newly-enrolled special education pupil, such as Student, such a health plan was developed once the IEP team, including the parents, agreed on the pupil’s placement. 30. When District placed a child with food allergies in a classroom, the District’s practice was to send a letter to the parents of other children in the class, requesting that they not provide such foods for their child to bring to school. The students did not share food, and, if possible, a child would not be permitted to eat anything at school unless provided by the child’s parents. Children’s hands were washed when they entered the classroom, and chairs and tables were frequently washed as well. If necessary, a child with food allergies could be seated away from the other children at lunch or snack times. 31. All District schools had Epi-Pens on hand, and staff was also capable of giving an antihistamine. Staff was trained not to rely on a student to tell them when the student was having an allergic reaction. There were usually physical signs of a reaction, of which staff was made aware. 32. District gave Parents copies of the protocols for use of the Epi-Pen, as well as examples of the letters the District sends to other parents regarding food allergies of other children in their child’s class. 33. In late March 2013, Ms. Zigler, the District’s Special Education Coordinator, Elementary, met with Father, and they discussed Student’s history and needs regarding placement. With Parent’s authorization, the District obtained Student’s educational records, and, on April 15, 2013, the District convened a meeting to discuss Student’s interim placement in the District. Parents, Ms. Zigler, Dr. Wade, Damian Huertas (District’s Special Education Coordinator, Secondary), and Renee Yamaguchi (District’s lead behaviorist), attended the meeting. The meeting participants considered Student’s last agreed upon IEP, discussed what services would be provided, and discussed Student’s placement. The parties discussed placement in an isolated room at Briones Elementary School (Briones), Student’s home school, so that Student could access the room without contact with other children. The District contemplated that Student could attend school in the isolated room until the end of the 2012-2013 school year, during which time Student would be assessed in that classroom, and the District nurse would obtain more information about Student’s allergies. At the meeting, Parents signed an assessment plan and releases to exchange information. 34. Parents advised that Student was non-verbal, he was not making progress on his goals at his previous school district, and he had been participating in a home program since 2011. Student lacked fine and gross motor skills, and had difficulty sleeping. Parents provided information regarding Student’s allergies and his allergic reactions, and provided a letter from Dr. Sinaiko regarding Student’s allergies. Parents requested that Student’s home program continue for 30 days. 35. 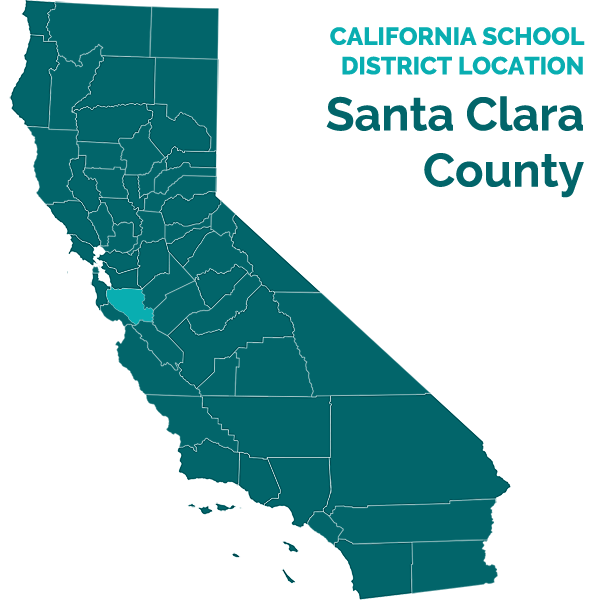 The discussions at the meeting were documented by a form entitled “Santa Clara County Interim Special Education Services,” to which were attached two pages of notes. The form stated that Student’s temporary placement, pending action at the next IEP meeting, would be: ABA instruction for 15 hours per week, provided by District staff at the school site; ABA supervision of two hours per week, provided by a behaviorist at the school site; LAS services of two hours per week, provided at the school site, and OT services of two hours per week, at the school site. All services were to commence on April 17, 2013, except for the ABA instruction, which was to commence on April 22, 2013. 2At hearing, Parents contended that District’s interim offer did not include placement in an isolated room, and further contended that, until the hearing, they had not received the second page of the meeting notes that mentioned the isolated room. However, as is further discussed in the analysis of Issue 1 in the Legal Conclusions, the weight of the evidence demonstrated that District had offered Student placement in an isolated room on the Briones campus. In his closing brief, Student expanded his argument regarding the isolated room into a new claim for relief on the grounds that the interim placement offer was ambiguous and thus invalid. This claim for relief was not alleged in the Complaint, and therefore it will not be considered as a separate claim in this Decision. (Ed. Code, § 56502, subd. (i).) This Decision will only consider the terms of the interim offer of placement as a factual issue which must be resolved as part of the legal analysis of Issue 1. 38. On April 18, 2013, Mother visited the proposed isolated classroom at Briones. Ms. Zigler, Megan Warter (the school psychologist), and Althea Cardoso (the resource specialist) were all present during Mother’s visit to the classroom. 39. On April 23, 2013, Dr. Sinaiko completed the District’s Physician Report and Student Health and Education Plan. On the form, he listed Student’s diagnoses as: “Severe Anaphylactic Allergy to Multiple Foods” and “Autism.” In answer to the form’s questions as to whether it was medically advisable for Student to attend school, he checked the box “No.” He attached his letter of October 30, 2011, to the form, and wrote on the form that as far as he was aware, Student’s situation was unchanged. 40. On April 26, 2013, Parents sent District a 10-day notice rejecting the District’s interim placement offer and advising the District of their intent to procure in-home services for Student. 41. By a letter dated April 30, 2013, Dr. Wade responded to Parents‟ 10-day notice. In the letter, Dr. Wade reiterated that the District’s interim offer, based upon the operative IEP of Pajaro Valley Unified School District, was 15 hours of one-to-one ABA therapy, two hours of ABA supervision, two hours of LAS therapy per week, and two hours of OT per week. Dr. Wade confirmed that District had offered Student services in an isolated setting with staff who were experienced in providing services to students with allergies. Dr. Wade acknowledged that Parents wanted the ABA therapy to occur at home, based upon their contention that Student could not attend school due to his allergies. Dr. Wade wrote that the District did not find sufficient credible information to support Parents‟ contention. Accordingly, the District believed its interim offer was appropriate, and the District would not reimburse Parents for the private services. Dr. Wade enclosed a copy of the procedural safeguards with the letter. 43. Parents refused the District’s interim offer of placement and services. They continued to educate Student at home, by providing ABA therapy there and clinic-based LAS and OT. 44. During the period from May 1 through May 8, 2013, the District performed triennial assessments of Student. The results of the assessments were combined into an “Integrated Psychoeducational Report,” which was produced by Megan Warter, the school psychologist. The assessment team consisted of Ms. Warter, Althea Cardoso (resource specialist), Peggy Syvertson, speech and language pathologist (SLP), Quyen Lieberman (occupational therapist), Renee Yamaguchi (behavior analyst), and Cheryl Turnboo, board certified behavior analyst (BCBA). 45. Ms. Warter performed the psychoeducational assessment of Student. District has employed Ms. Warter as a school psychologist since the beginning of the 2012-2103 school year. In 2005 she received a bachelor’s degree in behavioral science and psychology from San Jose State University, and in 2008 she received her master’s degree in clinical child and school psychology from California State University, East Bay. She holds her pupil personnel services credential in school psychology, and is a nationally certified school psychologist as well as a board certified neuropsychologist. She has experience working with children with severe autism, and children who are non-verbal. She assesses more than 10 children per year with autism. She has received training in protocols for handling children with severe allergic reactions, and in the use of an Epi-Pen. Prior to her employment with District, Ms. Warter had worked as a school psychologist in the San Jose Unified School District. 46. Ms. Warter used the following assessment instruments while assessing Student: (1) Parent questionnaire; (2) Records review; (3) Medical and developmental history; (4) Parent interview; (5) Observation of Student; (6) Comprehensive Test of Nonverbal Intelligence, Second Edition (CTONI-2); (7) Adaptive Behavior Assessment System—II (ABAS-II); and (8) Autism Spectrum Rating Scales (ASRS). 47. Ms. Warter’s report of her evaluation noted Student’s diagnoses of autism and pervasive developmental disorder. She commented upon his food and environmental allergies, his inability to adequately express health-related concerns, and his inability to use sign language or other types of alternative communication as of the time of the assessment. She mentioned his pica behavior. She noted that Student had not been enrolled at a school site for the 18 months preceding the assessment. 48. During her assessment, Ms. Warter observed Student twice in the home environment, for two hours each time, and her report included her observations. She concluded that Student exhibited many of the features characteristic of autism spectrum disorder. He was highly dependent on adult prompting, and he had some difficulty transitioning between activities. Student consistently preferred routinized, familiar, and self-stimulatory activities, and he did not appear able to engage in self-directed activities or use communication to indicate his needs and preferences. He could show affection toward Mother. 49. Ms. Warter’s report included a review of Student’s previous psychometric assessment, dated March 2010. The report then contained the results of Ms. Warter’s psychometric assessment. She attempted to administer the CTONI-2, to gain a better understanding of Student’s nonverbal cognitive abilities. Student could not complete the test due to his struggle to understand and comply with the task requirements. Ms. Warter concluded that Student’s nonverbal cognitive abilities appeared well below expected levels compared to same-age peers. She also concluded that Student’s overall scores were consistent with his history of autism and developmental delay. 50. Ms. Warter administered the ABAS-II rating scales to Mother to assess Student’s adaptive skills. Ms. Warter concluded that Student was functioning at the Extremely Low range in adaptive skills compared to the normative sample of same age peers in the Conceptual, Social, and Practical Domains, as well as in the overall General Adaptive Composite rating. Ms. Warter also administered the ASRS rating scales to Mother, to quantify observations of symptoms associated with autism spectrum disorder. Student’s overall score was Very Elevated, as Student exhibited many of the features characteristic of autism spectrum disorder. 51. Ms. Warter’s report contained the results of the academic assessment conducted by Althea Cardoso, the District resource specialist. Ms. Cardoso holds a B.S in social sciences from San Jose State University, and she has been a credentialed teacher in California since 1978. She holds a specialist deaf and hard of hearing teaching credential. She has experience teaching children with severe autism in her capacity as an SDC teacher for one day per week from 2007 through the end of the 2013 school year. 52. Ms. Cardoso’s assessment lasted from one to one-and-one-half hours. She conducted the assessment at Briones, and Mother and caregiver brought Student there. At Mother’s request, the testing room and all materials used for the assessment were scrubbed with antiseptic cleaner prior to Student’s arrival. Also at Mother’s request, Student’s caregiver remained within close proximity to Student for the duration of the assessment, so as to be able to immediately address any allergic response Student might have. Consequently, Ms. Cardoso could not achieve a standardized testing situation. She observed no symptoms of allergic reactions during the testing session. 53. Ms. Cardoso administered the Brigance Comprehensive Inventory of Basic Skills-II. Since Student was unable to respond verbally to the test items, he pointed to the items instead of naming them. Student was often not able to provide an independent response. The caregiver attempted to support Student by guiding his hand toward a selected response using a hand-over-hand method. Ms. Cardoso’s report listed and summarized Student’s scores. His ability ranged from the mastery of four out of four tasks under the category of 0-1 months, to mastering no tasks under the categories of 0-9 months and older. 54. At hearing, Ms. Cardoso asserted that Student had very low cognitive abilities. He was non-verbal, and would point or grunt during the assessment instead of using words. However, she could ascertain his needs from his body language and facial expressions. She commented that she was aware of Student’s tendency to pick up items and put them in his mouth. 55. Ms. Warter’s report also contained the results of the LAS assessment conducted by Peggy Syvertson. Ms. Syvertson has been a District SLP for 10 years. She obtained her B.A. in Speech and Language from Humboldt State University, and her M.A. in Speech and Language from San Diego State University. She received a certificate in sensory integration from the University of Southern California, and she holds a Certificate of Clinical Competence from the American Speech-Language-Hearing Association. Ms. Syvertson has been licensed in California as a speech pathologist since 2001, and she was first licensed as a speech pathologist in another state in 1994. She holds a California added autism credential. She has specialized in providing services to children with autism for the past 24 years, and she has worked with children with severe autism who were non-verbal and who were also highly allergic. She has been trained in District protocols for working with children with allergies, including training in the use of the Epi-Pen. 56. Ms. Syvertson assessed Student during two sessions at his home. She administered the Functional Communication Profile-Revised (FCP-R). Ms. Syvertson attempted to assess Student using the Receptive One Word Picture Vocabulary Test (ROWPVT), and the Expressive One-Word Picture Vocabulary Test (EOWPVT), but since Student was unable to complete the tests, she could not obtain scores on these test items. 57. The FCP-R provided an overall inventory of communication ability, mode of communication, and degree of independence. Ms. Syvertson’s report detailed Student’s performance on the FCP-R. She determined that Student presented with a severe speech and language delay in the areas of receptive, expressive, and social use of language, secondary to his diagnosis of autism. He was highly prompt-dependent and he was nonverbal, but he was beginning to use an assistive augmentative communication (AAC) device to communicate his wants and needs. His receptive language skills were dependent on the use of familiar ABA vocabulary cards. Student needed constant verbal and gestural cues to follow directions, as his concept knowledge appeared severely delayed. His expressive language was limited to basic signs and word approximations. His communicative intent was low, and only to have his wants and needs met. Ms. Syvertson recommended that a functional AAC method of communication be considered to help Student develop language to support his learning. 58. At hearing, Ms. Syvertson explained that she knew of Student’s allergies at the time she performed her assessment, and Parents instructed her to wash her hands and take off her shoes when she entered Student’s home. Based on her experience, one would be able to ascertain whether Student was physically uncomfortable, both by reading his body language and by Student’s use of a communication system. Parents would provide input as to what signs to look for in the event of an allergic reaction, and the staff would also discuss what signs to look for if Student were in distress. Student could be taught how to communicate that he was in distress, such as by use of an icon and an AAC device. The staff would follow the health plan that the nurse would develop for Student were he to attend school. Additionally, Ms. Syvertson recommended that, if Student attended school, an AAC assessment be performed there, so that his use of the AAC device could be evaluated in the context of the classroom where he would use it. 59. Ms. Warter’s report also contained the results of the OT assessment conducted by Quyen Lieberman. Ms. Lieberman received her bachelor’s degree in OT from San Jose State University. She is licensed as an occupational therapist in California, and has been nationally registered as an occupational therapist since 1999. She has been employed by the District as an occupational therapist since 2006, and she also works as an OT at Stanford University Hospital. She has received training pertaining to working with children with allergies, including protocols and use of the Epi-Pen from Ms. Lenoir in the District as well as from Stanford University Hospital. During her career she has worked with at least 12 non-verbal children with severe autism, and approximately 30 children with moderate autism. She has had training working with children with autism through the District as well as from other sources to maintain her license. 60. Ms. Lieberman assessed Student to determine his gross and fine motor functioning. She assessed Student using portions of the Sensory Profile, observation, and record review. Ms. Lieberman conducted her assessment at Briones. As she did for Ms. Cardoso’s assessment, Mother requested that District prepare the room to avoid allergen contamination, as well as the presence of Student’s caregiver in close proximity to Student during the assessment. The caregiver’s proximity prevented the establishment of a standardized testing environment. Ms. Lieberman observed no symptoms of allergic reaction by Student during the testing session. 61. Ms. Lieberman reported the results of her assessment of Student’s gross motor and fine motor skills. She attempted to administer portions of the Brigance Inventory of Early Development to measure Student’s fine motor abilities, but Student could not complete the test in a standardized fashion due to Student’s inattention and dependency on prompts from his caregiver. Overall, she concluded that Student’s performance suggested skills that were below average and roughly equivalent to pre-school aged children, and Student demonstrated a significantly limited attention span for table-top tasks. 62. Ms. Lieberman administered portions of the Sensory Profile to Mother to help determine Student’s sensory processing patterns and their effect on functional performance. Student’s scores were not measured against norms, as some items on the questionnaire were not completed. Based on the results of this assessment, Student appeared sensitive to sound, may benefit from visual supports, and may need more sensory input than typical peers. 63. Ms. Lieberman concluded that Student’s gross motor skills were sufficient to support independent functional mobility within the school environment. For safety purposes, she recommended that he receive adult supervision when transitioning at school. His fine-motor and visual-motor skills were significantly delayed, and were roughly equivalent to children in the three-year-old range. Ms. Lieberman concluded that Student needed a higher level of organized sensory input, such as routines and predictability, to effectively process and organize sensory information. She considered many of Student’s behaviors to be a result of his sensory processing issues. Ms. Lieberman’s report summarized Student’s sensory processing needs in the areas of auditory, visual, movement, touch, oral, and modulation/behavior. Ms. Lieberman recommended OT services be provided to develop Student fine motor skills and to help staff adapt Student’s environment to match his sensory thresholds and behavioral characteristics. 64. At hearing, Ms. Lieberman elaborated upon her assessment. She knew that Student engaged in pica activity, but she needed more data to determine whether it was a sensory-seeking behavior. Regardless of the cause of the pica, in her opinion the protocol for managing it was the same: education, vigilance, and avoidance. She noted that Student’s pica behaviors could be evaluated when he was in the school environment. The goal of her assessment was not to analyze Student’s pica behaviors, but rather to evaluate Student’s functioning. 65. Ms. Warter’s report contained the results of the behavior observations conducted by Renee Yamaguchi, a behaviorist, and Cheryl Turnboo, BCBA. Ms. Yamaguchi has been employed by the District as a behaviorist for 13 years. She holds an AA degree in psychology, and is working on obtaining her bachelor’s degree in psychology from Brandlin University. As a District behaviorist, her duties include designing and implementing discrete trial training programs, she observes students‟ behaviors and collects data, and she assists in developing behavior support plans and behavioral intervention plans. She has been familiar with ABA techniques since 1995, when she started working as a therapist in discrete trial training in-home programs. Prior to becoming employed by the District, she worked for a variety of non-public agencies taking behavioral data and implementing discrete trial training programs. Throughout her professional career she has worked with children with severe autism. 66. Ms. Turnboo has been a consultant with the El Dorado County Office of Education (El Dorado) for 20 years, and she has been a consultant for the District for two years. Ms. Turnboo holds a bachelor’s degree in education from California State University, Sacramento, and an M.Ed. from National University with a specialization in ABA. She holds a certificate in ABA and she is a BCBA. She works closely with Ms. Yamaguchi and she also supervises other District behaviorists. Ms. Turnboo helped established an autism program at El Dorado, and she has developed and is in charge of the daily operation of early intervention in-home ABA programs at El Dorado for children from 18 months through six years of age. During her career, she has worked with over 100 non-verbal children with severe autism. 67. Ms. Yamaguchi and Ms. Turnboo observed Student on three separate occasions for a total of five hours. Included in that total was one two-hour visit by Ms. Turnboo. All of the observations took place at home with Mother, and Mother and Student engaged in one-to-one ABA discrete trial training during most of the observations. Student was able to sit and work with Mother for up to an hour, but it took several prompts to keep him engaged. Also, he required an average of four to six prompts per task. The assessors also observed Student eating a snack. Their report listed Student’s skills, as observed by the assessors. The report also described Student’s “behavioral excesses.” Student engaged in loud verbal outbursts, which the assessors hypothesized served an avoidance/escape function. Student engaged in self-stimulatory behavior, including shaking his head from side to side and a high rate of visual self-stimulatory behavior. Mother reported, but the assessors did not observe, pica behavior. Based on Mother’s description, the assessors considered it more likely an oral sensory behavior (mouthing or chewing items) rather than pica behavior. The assessors did not observe any functional skills outside of the home environment. Ms. Yamaguchi and Ms. Turnboo reported that Student would greatly benefit from a school-based program. 68. At hearing, Ms. Yamaguchi expressed her opinion that Student needed to learn appropriate ways to request his needs. He could only appropriately request to go to the bathroom, and he was able to go to the bathroom and use it by himself. He also had to learn appropriate ways to avoid tasks, as opposed to engaging in the screaming, verbal outbursts, and eloping behavior that she observed. She saw nothing during her assessment to make her think that a school placement would be inappropriate for Student. 69. She believed that appropriate behavior services would include ABA support, but not discrete trial training, because that technique was intended for much younger students. In her opinion, he was also too old for an all-day ABA discrete-trial training program, and it was too restrictive. In this regard, she did not observe that he was able to generalize any skills in the home environment. Rather, he needed to be with peers for socialization, and he had to learn to generalize his skills in a more natural setting and less restrictive environment. She believed that Student’s behavioral services should focus on learning functional skills, life skills, and self-help skills. 70. At hearing, Ms. Turnboo explained that research demonstrated that the window for ABA in-home services was through six years old, because that was the time during which children will make the most progress. Research also demonstrated that in-home ABA services should not be implemented after the age of six. After the age of six, children with in-home, full-time ABA programs become prompt-dependent and become unable to generalize their skills and ascertain cues from their environment. Based upon her assessment and observation of Student, Ms. Turnboo considered Student to have plateaued with respect to his progress in his ABA discrete trial training program, and she saw no benefit to him now from such a program. She believed he needed to learn to control his self-stimulating behaviors, to generalize what he had learned, and to diminish his prompt-dependency. 71. At the time of her assessment, Ms. Turnboo was aware of Student’s allergy issues and pica behaviors, and also that Student could not discern which edible items were harmful to him. She and Ms. Yamaguchi also believed that Student’s pica behaviors could be addressed with behavioral techniques. 72. On the basis of her own assessment and those of Ms. Cardoso, Ms. Syvertson, Ms. Lieberman, Ms. Yamaguchi, and Ms. Turnboo, Ms. Warter concluded that Student continued to meet special education eligibility under the primary category of Autism and the secondary category of speech and language impaired (SLI). Ms. Warter believed that Student continued to qualify for and would continue to benefit from special education instruction. She recommended that the IEP team consider the least restrictive environment (LRE) and consider Student’s health plan when discussing placement options. She also recommended a variety of techniques and accommodations. 73. At hearing, Ms. Warter disagreed with Parents’ request for a home program. In her opinion, Student needed a school program, because he needed to interact with peers and be exposed to different types of instructional activities and experiences. She did not think Student’s allergies should prevent him from attending school, as long as a prevention and response plan was in place, and the District had intended to have such a plan in place had Student attended school in the District. She was also aware of Student’s pica behaviors. She has previously worked with other children who had a combination of severe autism, developmental delay, pica, and severe allergies, and all of them attended school. She had not observed Student’s pica behaviors during her assessment. However, she also believed that behavior interventions could be implemented to address Student’s pica, once he was in the school setting and District personnel could observe the behavior. 74. In preparation for the Student’s triennial IEP meeting, the District nurse, Linda Lenoir, reviewed Student’s records and attempted to gain more information about Student’s allergies. As part of this task, Ms. Lenoir reviewed the letters from Dr. Knosala, Dr. Chou, the Physician Report and Student Health Education Plan submitted by Dr. Sinaiko, with his letter report of October 30, 2011, and Dr. Saper’s report. She spoke with Dr. Knosala, Dr. Chou, and Dr. Sinaiko about their letters, and was particularly interested in Dr. Sinaiko’s letter, because the report he had submitted with the District’s form did not provide recent information. In her experience, she had never seen a recommendation for home-schooling for a child with allergies. 75. District convened Student’s triennial IEP meeting on May 15, 2013. The IEP team included Parents, Ms. Warter (school psychologist and administrative designee); Ms. Syvertson (District SLP), Ms. Lenoir (District nurse); Ms. Turnboo (BCBA); Ms. Cardoso, resource specialist (RSP); Ms. Yamaguchi (behaviorist), Ms. Lieberman (District occupational therapist), and District’s counsel. 76. The IEP stated that Student’s primary eligibility was autism and his secondary eligibility was SLI. The IEP commented that Student required a very structured, predictable environment. The team noted that Student enjoyed music, was loving towards Mother, put forth effort, was good at imitating behavior, and, with support, would work for two hours. The team included Parents‟ concerns that Student lacked independence, lacked communication and general social awareness, had poor safety awareness, lacked oral and fine motor skills, lacked prerequisites to learning, and had general delays in motor strength and coordination. 77. The IEP summarized the triennial assessments. Ms. Yamaguchi, Ms.Warter, Ms. Syvertson, and Ms. Lieberman presented their reports. The IEP also included a vocational assessment by Ms. Zigler, which noted that Student had not been on a school campus for more than a year. He would work on learning classroom routines such as coming into the classroom, putting away his backpack, and taking out his lunch and snack independently. The team noted that Student would take the annual statewide California Alternative Performance Assessment (CAPA). Ms. Warter provided a health report, based on a form completed by Parents. Parents had reported that Student had experienced no serious accidents, injuries, or hospitalizations over the past three years, but he had had an allergy-related illness including anaphylaxis and eczema skin rash. Parents reported that Student had current diagnoses of autistic disorder and pervasive developmental disorder, and over the past three years Student has received private LAS, ABA, and OT therapies. The IEP stated that Student required an AAC device. The team also noted that Student’s behavior impeded his learning, because when engaged in verbal outbursts and/or self-stimulatory behaviors he was unable to engage in learning opportunities. The team would develop a behavior support plan within the first 30 days of the school year. 78. The team developed nine annual goals, with objectives, in the areas of pre-academic, expressive language, receptive language, fine motor skills, and behavior. No goal to specifically address Student’s pica behavior was developed, because none of the District personnel had observed any pica behavior. When Student started school, the team anticipated that staff would take data with respect to his pica behavior, and District’s behavior specialists and other appropriate service providers, such as the occupational therapist, would formulate strategies and a goal to address the behavior. 79. The IEP provided for specialized academic instruction in a special day class (SDC) at Terman Middle School (Terman) for the 2013-2014 school year, with round trip transportation. The IEP offered 30 minutes of group LAS two times per week, 30 minutes of individual LAS one time per week, 60 minutes of individual OT per week, and 90 minutes of individual behavior intervention services five times per week. These services would be delivered within the school setting. Additionally, a behaviorist would consult with classroom staff on strategies in the areas of behavior and social skills for one hour, 10 times per year, and Student would have shared aide support when he was outside of the SDC. The IEP also offered adapted physical education to be taught in the general education environment. The IEP provided for ESY during the summer of 2013, and included related services during ESY. The IEP noted that Student would be included in the regular class and extracurricular and non-academic activities 20 percent of the time. The IEP specified that Parents would be informed of Student’s progress on a trimester basis, through annotated goals. 80. The SDC class at Terman was specially designed to provide functional skills development and individualized curriculum-based instruction for children with moderate to severe disabilities. The goal of the program was to promote as much functional independence as possible. The class consisted of approximately 10 children, with a teacher and five classroom aides. The classroom included a kitchen and a bathroom. Additionally, service providers were in the classroom often, providing additional sets of adult eyes. There was no food readily available in the classroom. The children brought their snacks and lunch in containers in their backpacks, and ate outside. The children only ate in class during group cooking activities. Staff washed their own hands, and tables and chairs. Children’s hands were also wiped when they first entered the classroom. Service providers also washed their hands when they entered the classroom. The classroom staff was trained and experienced in handling children with a variety of health needs, including allergies. Children moved in and out of the classroom during the day as they participated in mainstream classes or other activities. When the children were in the classroom, they engaged in small group instruction and small group social activities, and they received their related services. 82. At hearing, Ms. Syvertson explained that she recommended LAS on an individual basis one time per week for 30 minutes to teach Student how to use his AAC device; and two group sessions per week of 30 minutes each. She specified that a group session mean that one other child besides Student would be included, but, if services were given during circle time, the rest of the class would be included. She believed this level of service was sufficient for Student to make progress on his goals, and that if all of his speech services were provided on an individual basis, he would not make progress. She explained that one did not learn language in a vacuum. Student required group speech services, so that he could learn to generalize his skills and communicate with other people, especially his peers. 83. Also at hearing, Ms. Lieberman explained that she recommended that Student receive one hour per week of OT services in a school setting, so that he could generalize his skills and staff could address his sensory needs. The school environment could provide him with opportunities for socialization and fine motor and sensorimotor development. She believed that one hour per week of school-based OT services was sufficient for Student to meet his goals. 84. Ms. Turnboo explained at hearing that she recommended a school-based program, because it was a natural environment for a child of Student’s age, and he could work at school on generalizing his skills, on functional skills, and socializing. She believed that 7.5 hours per week of behavioral services would be sufficient to permit Student to work on these areas. Ms. Yamaguchi was also of the opinion that 7.5 hours per week of behavioral services would be sufficient for Student to work on these areas. 85. The IEP notes reflected that Parents expressed the following concerns: Student’s performance during some portions of the assessment were not consistent with his current abilities; Parents disagreed with the recommended placement; Parents requested information regarding the person who would be Student’s one-to-one aide (such as the person’s identity, their qualifications, and their skill set); and District’s failure to comply with stay put. Parents also did not feel that Student’s health plan was adequate to ensure his safety at school. Parents were concerned about Student’s placement, in view of his inability to speak and his severe allergies. 86. With respect to the stay put issue, the IEP notes reflected that Ms. Reynolds advised that the District would respond in writing. Ms. Lenoir, the District nurse, discussed the health care plan in an attempt to address Parents‟ concerns. The health plan would not be completed until the Student’s doctor from Kaiser provided information. Then, the plan would be developed and finalized, and all staff would be trained regarding the plan so that they would know what steps to take should Student have an allergic reaction while at school. Ms. Lenoir provided information regarding how she trained staff to handle allergic reactions, including training staff in the use of the Epi-Pen, and attempted to assure Parents that the District was capable of meeting Student’s health needs and providing a safe environment. 88. Father wrote a note dated May 28, 2013, on the IEP, advising the District that he did not consent to the IEP, because it was not appropriate given Student’s unique disabilities. The note also advised that Parents would seek reimbursement for in-home services. 89. Dr. Wade wrote a letter to Parents dated May 20, 2013. The letter stated it was prior written notice, and it referred to Parents‟ request for a home program for Student, as well as to respond to Parents‟ request for information regarding who would support Student in the classroom. 90. Dr. Wade reiterated District’s interim placement offer, and specified that the interim placement offer included 15 hours per week of ABA therapy in an isolated setting. The letter stated that Parents rejected this offer because the ABA was to take place in a room on campus, rather than at home. 91. Dr. Wade described the District’s assessments of Student, and summarized the placement offer in the May 15, 2013, IEP. 92. Dr. Wade attempted to address Parents‟ request for information regarding the staff who would ensure Student’s safety at school. She advised that District had assigned a health technician to serve as an aide in Student’s classroom, who had been employed by the District for 11 years, including six years as a health technician. Further, this particular health technician had taken numerous courses in the health care field, and was trained to address severe allergies. The health technician was supervised by the school nurse. Dr. Wade noted that the rest of the classroom staff would also be trained as to how to implement Student’s health care plan, and that he would never be without the presence of a responsible adult who was trained to address an allergic reaction. 94. As District was performing Student’s triennial assessments in May 2013, Parents retained N. Rebecca Fineman, Ph.D., to review Student’s home program and to assist them in developing an appropriate home and school program. Dr. Fineman received her B.S. in 1981 from Northwestern University’s Department of Speech, Theatre Arts. She received her M.A. in Movement Therapy from the University of California, Los Angeles (UCLA), and she holds a Ph.D. in Counseling Psychology, also from UCLA. She is currently in private practice. Dr. Fineman generated a consultation report dated May 23, 2013, which was subsequent to the IEP meeting and also subsequent to Dr. Wade’s May 20, 2013, letter. 95. Dr. Fineman spent one to two hours on document review, which included a review of letters from Dr. Sinaiko and Dr. Chou, a two-hour in-home observation of Mother in a one-to-one ABA discrete trial training session with Student, a one-hour viewing of a video of a private provider in a one-to-one ABA discrete trial training session with Student, and approximately two hours of interviews with Parents. Dr. Fineman did not review District’s assessments, or Student’s May 15, 2013, IEP. She had no knowledge of the terms of the District’s offer of placement and services in the May 15, 2013, IEP, she had not observed the District’s proposed placement, and she had not spoken to any of the District’s teachers in preparing her report. 96. Dr. Fineman’s report recommended that, as a child with severe autism, severe allergies, and developmental delay, Student would require a 30 hour per week home program, to include one-on-one “ABA style” teaching, and LAS and OT services, as well as AAC services. Dr. Fineman’s report explained that Student needed an in-home program based upon the reports of Student’s physicians that Student should receive in-home instruction due his high risk for allergic reactions. She summarized her home observation of Student’s ABA session with Mother, and her video observation of Student’s in-home ABA session with a private provider. Based on these observations, the report included suggestions as to how an in-home ABA provider might best work with Student, and commented that Mother was not an appropriate in-home ABA therapist for Student. Dr. Fineman based her recommendation of an intensive one-to-one ABA program of discrete trial training on her understanding that Student had never had long-term, consistent, and intensive ABA instruction. Dr. Fineman’s report concluded that Student required 30 hours per week of one-to-one ABA instruction provided for by a BCBA or supervised by a BCBA; two hours per week of one-to-one OT; two hours per week of one-to- one LAS therapy with a speech therapist who had experience and training with ACC, four hours per week of parent training/support delivered by the BCBA, and two hours per week of ACC program support, development, and training. Dr. Fineman’s report recommended that this program occur with no more than a two-week break. Dr. Fineman’s report emphasized that all of the personnel who worked with Student should have regular meetings to assure consistency of the program. 97. At hearing, Dr. Fineman elaborated upon her report. The recommendations in her report were based on a home program, but the recommendations would be similar if Student were in a school setting. She did not perform formal assessments, because she did not believe that formal testing would be appropriate for Student. She believed that Student’s allergy risk was related to his pica, and that he needed full-time one-to-one supervision to avoid putting things in his mouth, self-stimulatory behavior, and non-functional behaviors. In her opinion, Student also needed intensive one-to-one behavior services because he was not under appropriate instructional control to be able to access an educational environment other than on a one-to-one basis, and to mitigate his pica. She expressed that he would not benefit from being around other disabled children, because it would be difficult for him to interact with others due to his behaviors. She also stated, however, that, if he did not have an allergic condition, it would be appropriate for him to be with his peers during the day. 98. Dr. Fineman had not observed any pica behavior during her in-home observations of Student, but learned from Parents of Student’s pica behavior. She did not know whether Student’s pica was sensory-based, but she believed OT services would be appropriate to address Student’s sensory issues. She also believed LAS services were necessary so that Student could continue to learn to use his AAC device and develop functional communication skills. 99. Shelley Davis is a self-employed behavior and autism consultant who serves as a teacher coach for the program at Terman in which District proposed to place Student. As such, she consulted with teachers and staff and answered their questions. Ms. Davis received a B.A. in psychology from UCLA, an M.A. in psychology from San Jose State University, and a J.D. from Golden State University School of Law. She holds a California emergency teaching credential. Ms. Davis has worked with ABA principles and strategies for approximately 30 years, and has had training in other behavioral methodologies as well. She received her initial training in ABA from Dr. Ivar Lovaas, a pioneer in using ABA methodology with children with autism. During the last 20 years, her work has consisted of coordinating and developing curriculum-based programs for schools for children with moderate to severe autism, as well as for children with social cognition deficits. Throughout her career she has worked directly with 300 to 400 children with autism, and as a consultant with respect to an additional 300 to 400 children with autism. Ms. Davis had reviewed Student’s IEP’s, the psychoeducational report, the behavioral assessment, Dr. Fineman’s report, and a video of Student working with Mother. She considered Student’s in-home ABA program and whether the District’s offer of placement at Terman was appropriate. In her opinion, District’s offer of placement at Terman was appropriate and an in-home ABA program was not appropriate. 100. Ms. Davis believed Student needed to work on skills to lead to as much self-regulation and independence as possible. She described discrete trial training as an appropriate technique for the first six to 18 months of intervention, and then ABA principles should be used to create appropriate curriculum and instruction. She explained that between six and 18 months one obtained a good picture of a child’s ability to learn, and after that time the emphasis should turn to generalizing what the child has learned and what other techniques can enhance instruction, while still using an ABA approach. She believed there were “huge risks” when children stay at home engaged in discrete trial training for a long time, because the children did not learn to generalize their skills into a school setting or other social setting. Additionally, children in long-term discrete trial training programs became prompt dependent, and they only learned skills, not concepts. In her opinion, a child who has had in-home discrete trial training for a lengthy period of time responds in almost a Pavlovian way, and the student simply waits for instruction rather than taking the initiative to learn. She also explained that after about six years old, socialization becomes more important for children, school activities increased, and there was more opportunity to generalize skills. She could not recommend a home-based ABA program for Student, based on the research regarding the limitations of discrete trial training, and the need for children to learn how to function in multiple environments with their peers. 101. In Ms. Davis’s opinion, Student could also better learn at Terman how to reduce his pica behaviors. Teachers and staff could keep his hands engaged, and use ABA principles as part of a behavior plan developed by staff and implemented throughout Student’s school day. She believed that when there were frequent pica behaviors, it was inappropriate to use discrete trial training to attempt to teach a child not to mouth objects. 102. She had worked with approximately 10 to 15 Students with characteristics similar to Student’s, and they had all been placed in school programs. She did not believe that Student’s profile alone required an in-home program. 103. At hearing, Dr. Sinaiko elaborated upon his report. In his opinion, Student’s reaction to Augmentin when he was a toddler was significant because, as far as the immune system was concerned, the body did not know the difference between an allergic reaction to a drug or to a food item. He stated that anaphylactic referred to immediate immunoglobulin E (IgE) hypersensitivity, and that IgE was an antibody which was the driving force immunologically behind an anaphylactic reaction. Such a reaction would be systemic if a number of systems were affected. He stated that a symptom of a systemic anaphylactic reaction was a manifestation of a reaction in an area of the body remote from the point of contact with the allergenic substance. In his opinion, Student’s reaction to the Augmentin was anaphylactic, because it came on rapidly and there was swelling. Further, Student’s anaphylactic reaction to the Augmentin was systemic, because the symptoms were remote from the point of contact. Overall, he considered Student to have a serious allergic condition and it was well within the realm of clinical possibility or probability that Student’s allergic condition was life-threatening. 104. Dr. Sinaiko reiterated his recommendation of home schooling, based on Student’s history and amplified by Dr. Saper’s skin testing results. He did not see anything in Dr. Saper’s report that contradicted his recommendation for home schooling. He considered Student’s RAST results to be an indicator of anaphylactic reaction, because RAST tests for IgE. He acknowledged that protective measures could be taken at school, but, in his opinion, they could only be partial and would not work in all circumstances. Further, the school would need to have available a highly trained and highly experienced individual who had experience with non-verbal children who were allergic. He believed it would be helpful if this person had been trained in a hospital environment and had actual experience in administering cardiopulmonary resuscitation and administering allergy medicines. Dr. Sinaiko considered Student’s environment to be better controlled at home, as his family would be highly motivated to keep Student safe. 105. Dr. Saper also elaborated upon her report at hearing. Dr. Saper defined IgE as an antibody that was associated with allergic responses, and anaphylactic reactions as those that could be life-threatening. In her opinion, there were constellations of allergic reactions, and the crux of the issue was whether an allergic reaction was life-threatening. In this regard, skin and blood tests, such as RAST, and the skin tests she performed, only revealed that Student was clinically allergic to various substances. One could have a positive response to the allergy tests and yet manifest no symptoms, as Student demonstrated by having test results that showed that he was clinically allergic to peanuts when in fact he could eat peanuts without having any symptoms. She noted that even the large results on the skin tests she performed did not, by themselves, reveal the severity of the allergy or the risk that an allergy was life-threatening. Additionally, she did not believe that there was any objective evidence that Student ever had a systemic anaphylactic allergic reaction. In this regard, she was not able to conclude that Student’s reaction to the antibiotic when he was a toddler was a systemic anaphylactic allergic reaction, because she had no proof that there was any direct observation that his allergic reaction was of that nature. She also did not consider Student’s reaction to the antibiotic currently relevant, because it was remote in time, and antibiotic allergies did not necessarily correlate to food allergies. 106. She stated that she analyzed the severity of allergies in the context of the patient’s history and the test results. In her opinion, the only way to determine whether an allergy was life-threatening was with a direct-exposure challenge. She did not present that option to Parents, because it was not part of her assignment and she was not his treating physician. Further, a food challenge required a risk-benefit analysis, and there were risks with intentionally performing such a challenge on a non-verbal child with behavior issues such as Student. At the same time, the benefits of performing such a challenge were questionable. At the time of her examination, Student’s diet was nutritionally complete, and, from a nutrition standpoint, he did not need to eat any of the foods to which he had an allergic reaction. 107. She stated that Student had a non-life threatening allergic response to dairy. She also believed that Student’s allergic reactions to food were predominantly skin-related, and could not be considered an anaphylactic response. She stated that Student developed hives in areas away from the skin pricks during her testing because some people, such as Student, have very reactive skin. In her opinion, those who were dealing with Student’s food allergies may be confusing some of his food allergies with airborne allergies, and she believed that addressing that possibility would be helpful, as the symptoms of airborne allergies could be very irritating to Student. 108. Dr. Saper considered Student to be moderately allergic, because he did not have asthma or severe atopic dermatitis, and he had had no life-threatening reactions to food or airborne allergens. She acknowledged that, because Student was non-verbal and had behavioral issues, it might be more difficult for unskilled observers in proximity to identify that Student was having an allergic reaction until he manifested physical symptoms. She recommended that Student be closely monitored when food was present at school to prevent him from accessing foods to which he had allergic reactions, including making sure that his eating area was not contaminated with such foods. 1. The petitioner in a special education due process hearing has the burden of proving his or her contentions at the hearing by a preponderance of the evidence. (Schaffer v. Weast (2005) 546 U.S. 49, 56-57 [126 S.Ct. 528].) As the petitioning party, Student has the burden of persuasion in this case. 4. Student contends that District’s 30-day interim placement offer was not comparable to his previous placement, because his previous placement was an in-home placement, and District’s placement offer was at a school site. District contends that its interim placement offer of an isolated room on the Briones campus was comparable to Student’s previous placement. Student contends that District did not offer such an isolated room as a placement. 5 Unless otherwise noted, all references to the Code of Federal Regulations are to the 2006 edition. 7. As a preliminary matter, Student’s contention that District’s placement offer did not include an isolated room was not supported by the evidence. First, the parties discussed the placement during the April 15, 2013, interim meeting. The primary purpose of the meeting was for District to offer Student a placement. The meeting began and ended on April 15, 2013. It is implausible that the meeting would have concluded without District making any offer of placement, and there was no evidence that any placement other than an isolated room on the Briones campus was discussed at the meeting. Second, on April 18, 2013, Mother visited the proposed isolated classroom, in the company of three District professionals, pursuant to the District’s invitation during the April 15, 2013, interim meeting. The number of District people present at the visit, and its proximity to the interim meeting, indicates that Mother was visiting a proposed placement. Third, the first page of the meeting notes ends in the middle of a sentence. It is therefore also implausible that Parents did not realize that they did not have the second page of notes, which mentioned the room as the placement, until the due process hearing. Fourth, Parents never mentioned in their correspondence with the District after the meeting that they had any uncertainty or questions about the placement offer. Fifth, in her letters to Parents dated April 30, 2013, and May 30, 2013, Ms. Wade referred to the interim placement offer as including the isolated room at Briones. There was no evidence that Parents ever challenged or questioned the accuracy of these statements prior to the due process hearing. 8. District’s 30-day interim offer was comparable to Student’s most recently agreed upon IEP of August 28, 2012, from Pajaro Valley. The level of OT, LAS, and ABA services were identical, and the only difference was that Student would be educated in an isolated classroom instead of at home. The isolated classroom on the Briones campus performed the same function as the home environment, in that it provided a setting where Student would receive one-to-one instruction and supervision. He would be separated from other children, and his exposure to allergens could be controlled in the isolated classroom. In the meantime, during the 30-day interim period, District could conduct its assessments and explore whether there were medical or educational reasons for the IEP team to offer a home placement. The interim placement changed only the location of the services, not their substance. 9. Additionally, the evidence established that the 30-day interim offer provided Student a FAPE. Student did not meet his burden of proof that, from either an educational or a medical standpoint, he could not be on a school campus in an isolated setting for 30 days. Rather, the evidence demonstrated that Student went out into the community, played in parks, went to a group art class, visited amusement parks, restaurants, and the grocery store, and received clinic LAS and OT services, all without ill-effects. Student offered no evidence that Student would not receive some educational benefit from having his program and services delivered in the isolated school classroom. Pursuant to Findings of Fact 1-43, and 103-108, and Legal Conclusions 1-9, District’s interim offer did not deprive Student of a FAPE. 10. Student contends that the District’s 30-day interim offer violated stay put, because his last agreed-upon and implemented IEP dated August 28, 2012, provided for home instruction. District contends that stay put does not apply, because the last-agreed upon IEP was between Student and Pajaro Valley, which is in another SELPA. 12. Since the last-agreed-upon and implemented IEP was between Student and Pajaro Valley, which is in another SELPA, the doctrine of stay put is inapplicable. Pursuant to Findings of Fact 1-43, and Legal Conclusions 1-3 and 10-12, District’s interim placement offer did not violate stay put. 17. Student did not meet his burden of proving that Student’s allergies, pica, and non-verbal status require that he be educated at home, one of the most restrictive environments, to receive a FAPE. Rather, the weight of the evidence demonstrated that District could provide for Student’s unique needs in a school placement at Terman, and that the District’s IEP of May 15, 2013 offered a FAPE in the LRE. 18. Student’s allergic condition is the main driver in this analysis. As Student’s witness Dr. Fineman noted, she would not have recommended a home program for Student if not for the information that he had severe allergies. 19. The medical opinions as to the severity of Student’s allergies varied. However, District was more persuasive on this point. Dr. Knosala’s letter did not offer any characterization of Student’s allergies, and he made no recommendation as to Student’s educational placement. Dr. Chou, Student’s pediatrician, referred in his letter to Student’s history of “severe allergies” and “strongly recommended” home schooling. Dr. Sinaiko, Student’s expert witness, characterized Student’s allergic reactions, as “systemic anaphylactic allergic reactions,” and concluded that it was not medically advisable for Student to attend school. 20. Dr. Saper, District’s expert, defined anaphylactic differently than did Dr. Sinaiko, and she did not consider Student’s two allergic reactions at school to have been anaphylactic reactions. Additionally, she considered that Student’s allergic reactions may have been generated by aeroallergens, and not by his food allergies. She discounted Student’s reaction to Augmentin, as being remote in time, and because, in Student’s case, Student’s reaction to such a drug was not related to his reaction to food or aeroallergens. 21. Dr. Saper’s testimony regarding Student’s allergies was more persuasive than Dr. Sinaiko’s. First, Dr. Sinaiko has never physically examined Student. All of his information about Student’s allergies was secondhand, whether from Parents, or from records review. Dr. Saper, however, had examined and tested Student prior to writing her report. Second, of the three physicians whose reports were presented to District in support of Parents‟ request for a home placement, Dr. Sinaiko was the only physician who characterized Student’s allergic reactions as anaphylactic. Dr. Chou, Student’s pediatrician, did not characterize Student’s allergic reactions as anaphylactic. 22. Third, Dr. Saper’s analysis of Student’s allergies exhibited a greater understanding of the nuances and complexities of allergies than did Dr. Sinaiko’s analysis. For example, Dr. Saper discussed the relationship between Student’s food allergies and his allergies to various plants, and considered whether aeroallergens played a role in Student’s allergic reactions. Dr. Sinaiko did not address this issue at all. Dr. Saper’s consideration of the possible genesis and scope of Student’s allergies demonstrated her intellectual curiosity, analytical ability, and thoroughness. She also drew careful distinctions, such as the distinction between Student’s reactive skin and how his skin reactivity did not necessarily correlate to the severity of his allergies. She explained the various factors she considered in the risk-benefit analysis she performed regarding subjecting Student to a food challenge. Her explanations as to the various factors she weighed in determining whether she would subject Student to a food challenge, and as to how she evaluated the severity of allergies, demonstrated that she was careful and methodical. Finally, her opinion that Student’s two documented instances of allergic reactions should not preclude him from attending school indefinitely, was more reasonable, under the circumstances, than Dr. Sinaiko’s contrary opinion. Overall, her reasoning and explanations rendered her opinions more persuasive than Dr. Sinaiko’s. 23. Fourth, Student’s allergies were not so severe that he could not play in the park, or go to an amusement park or a restaurant. When Student visited such places, food to which Student was allergic could be present on the hands and clothing of the wait staff and other patrons at a restaurant, and on the hands and clothing of nearly everybody at an amusement park or city park. Further, Student is sometimes accompanied at the park by people that Parents find on-line, who have had no particular training. Yet, there was no evidence that Student ever had an allergic reaction at any of those locations. As vigilant as Parents are, if Student was severely allergic as Dr. Sinaiko suggests, it was not clear how Student has avoided having allergic reactions at such places. Nor was it clear how District’s offer of placement in a small class at Terman, where hands and surfaces were washed, and staff was trained in controlling allergen exposure and how to handle such exposure when it occurred, constituted less of a controlled environment than an amusement park or a restaurant. In this regard, there was no evidence that Dr. Sinaiko had any information as to how Student would be supervised while at Terman, or how District trained classroom staff in controlling allergen exposure and how to handle such exposure should it occur, or that District would assist Student in communicating his needs, or that District would manage Student’s pica through behavioral techniques, or any of the other measures the District would take to prevent Student’s contact with allergens. 24. Student has had only two documented allergic events at school. Both events resolved within a short time. One event resolved by itself, without the administration of any medication, and one event resolved with the administration of one oral dose of a common antihistamine.6 Student continued with his school day after both incidents. It was unclear whether pica played any role in the events, but it is clear that Student’s non-verbal status did not prevent school staff from noticing his discomfort and providing immediate care. The evidence was uncontradicted that Student is allergic to a wide variety of substances, and that his skin is highly reactive, but it would be unreasonable to conclude from these two incidents that Student should not attend school for an undefined period of time due to his allergies. Rather, the evidence reflected that Student would be closely supervised in the District’s program, that there would be highly-trained staff available at all times, that District policies and staff practices would control his exposure to food allergens, and that District would develop a plan, with input from Student’s physician, which staff would follow should Student have an allergic reaction while at Terman. 6Dr. Sinaiko’s report said that Student was administered an antihistamine in conjunction with each incident, but the evidence demonstrated that Student only received an antihistamine at the time of the second incident. 25. Finally, the evidence was overwhelming that, from an educational perspective, Student’s unique needs could be met in the offered placement at Terman. Among other things, Student needed to learn how to communicate with people outside of his family, he needed to learn to generalize his skills in environments other than home and family, and he needed to learn how to manage his behaviors. Placement in the Terman SDC, with the services offered in the May 15, 2013, IEP, provided these opportunities. The Terman SDC also constituted the LRE, as it provided Student the opportunity to interact with non-disabled peers as well as disabled peers. Dr. Fineman, the only expert witness Student called to testify about Student’s educational needs, did not render any opinion as to the District’s offered program at Terman. She had not visited the program, nor had she spoken to anyone from the District about the program at Terman, or the terms of Student’s IEP. Yet, as was stated in Legal Conclusion 14, the issue is not whether the parents prefer a different program than that offered in Student’s IEP; the issue is whether the program offered in Student’s IEP provided Student a FAPE. The evidence demonstrated that the May 15, 2013, IEP was reasonably calculated to provide Student some educational benefit. Further, on the continuum of placements, it was the LRE. 26. Under all of these circumstances, pursuant to Findings of Fact 1-108, and Legal Conclusions 1-3, and 13-26, District’s placement offer at Terman was reasonably calculated to provide Student a FAPE in the LRE. 27. Student contends District denied a FAPE because District offered group LAS services and insufficient individual LAS services. District contends that the mix of individual and group LAS services it offered in its May 15, 2013, IEP, was sufficient to address Student’s needs and was reasonably calculated to provide him a benefit. 28. In particular, Student contends that all of his LAS services should be delivered on a one-to-one basis. To the extent that Student’s contention is derived from his contention that he should be educated at home and not at school, his position is unmeritorious, as was discussed above with respect to Issue 3A. Student also more generally contends that his unique needs are such that he requires individual LAS services. 30. Student’s May 15, 2013, IEP offered 30 minutes of individual LAS one time per week, and 30 minutes of group LAS two times per week. The only evidence presented regarding Student’s need for additional LAS was (1) Student’s previously agreed upon IEP dated August 28, 2012, from Pajaro Valley, which offered two hours per week of LAS; and (2) Dr. Fineman’s recommendation that Student receive two hours per week of LAS. However, the level of LAS Student and Pajaro Valley agreed to in August 28, 2012, IEP amendment was part of a home-based program. Similarly, Dr. Fineman’s recommendation of two hours per week of LAS was based upon a home program for Student, or a very isolated and circumscribed school-based program. Dr. Fineman never visited or observed the classroom which the District had offered Student in the May 15, 2013, IEP. Neither Pajaro Valley’s IEP nor Dr. Fineman’s recommendation was based upon a language-rich school-based program such as that which was offered in the May 15, 2013, IEP. 31. Dr. Fineman is not a speech pathologist, and there was no evidence that she had any expertise with regard to LAS services. She did not discuss the reasons for her recommendation of individual LAS services at the specific level of two hours per week. In contrast, Ms. Syvertson, the District’s SLP who recommended 30 minutes per week of individual LAS, combined with one hour per week of group LAS, is a nationally certified and California licensed LAS professional. The evidence reflected that she was the only professional who assessed Student in the area of LAS with respect to the Mary 15, 2013, IEP, and her recommendations were based on those assessments. Dr. Fineman had not reviewed Ms. Syvertson’s assessments. Ms. Syvertson explained, without contradiction, that the level of service that she recommended was sufficient for Student to make progress on his IEP goals. She also asserted that all of Student’s speech services should not be provided on an individual basis, because he needed to learn to generalize his skills, and he needed to learn to communicate with others. 32. Under these circumstances, Ms. Syvertson’s opinion as to Student’s LAS needs was more persuasive than was Dr. Fineman’s. Based upon Findings of Fact 1-32, and 44-98, and Legal Conclusions 1-3, and 13-31, District’s offer of LAS services was sufficient to address his needs and to assist him to benefit from special education. The District did not deprive Student of a FAPE with respect to LAS services. 33. Student contends that the District’s May 15, 2013, IEP deprived him of a FAPE because it failed to offer individual OT services to Student. District contends that all OT services offered were to be delivered on an individual basis. 34. District is correct. The District’s May 15, 2013, IEP specifically offered 60 minutes per week of OT services, all to be delivered on an individual basis. (Finding of Fact 79.) Student’s contentions are unmeritorious. 35. Student contends that the District’s May 15, 2013, IEP deprived him of a FAPE because it offered only 30 minutes per week of individual OT services. District contends that it offered 60 minutes per week of OT services in the subject IEP, and Student offered no evidence to show that those services were not sufficient to enable Student to benefit from those services. 36. Legal Conclusion 29 is incorporated herein by this reference. 37. Student did not meet his burden of proof on this issue. First, the May 15, 2013, IEP offered Student 60 minutes per week of OT services, not 30 minutes per week of OT services. Further, the only evidence presented regarding Student’s need for additional OT was (1) Student’s previously agreed upon IEP dated August 28, 2012, from Pajaro Valley, which offered two hours per week of individual OT; and (2) Dr. Fineman’s recommendation that Student receive two hours per week of individual OT. 38. However, the August 28, 2012, IEP amendment from Pajaro Valley was part of a home-based program. Dr. Fineman’s recommendation of two hours per week of OT was based upon a home program, or a very isolated and restricted school-based program. Furthermore, Dr. Fineman did not explain why she specifically recommended two hours per week of OT. District’s OT offer, however, was premised upon a school-based program, in which OT materials were incorporated into the school day. In this regard, Dr. Fineman never visited or observed the classroom which the District had offered to Student in the May 15, 2013, IEP. There was no evidence that Dr. Fineman had considered Student’s OT needs in the context of such a school-based program. 39. Additionally, Dr. Fineman is not an occupational therapist, and there was no evidence that her recommendation of two hours per week of OT was based upon any specific knowledge or training regarding Student’s OT needs. In contrast, the one-hour per week of OT offered in the May 15, 2013, IEP was based upon the assessment by and recommendations of Ms. Lieberman, a nationally certified and state-licensed occupational therapist. There was no evidence that any other individual had assessed Student for OT with respect to the May 15, 2013, IEP offer, and Dr. Fineman had not reviewed Ms. Lieberman’s assessment results. Under these circumstances, Dr. Fineman’s opinions as to the OT services Student required were not persuasive. The level of OT services offered in Student’s May 15, 2013, IEP, was sufficient to assist Student to benefit from special education. (Findings of Fact 1-32 and 44-98; Legal Conclusions 1-3, 13-26, and 35-39.) District did not deny Student a FAPE on this ground. 7 Student also contends in his closing brief that he is entitled to 10 additional hours per week of one-to-one ABA services as compensatory education for the District’s failure to provide a FAPE with respect to the March 15, 2013, interim offer and with respect to the May 15, 2013, IEP. However, Student presented no evidence regarding the need for such compensatory education, nor any evidence regarding the type, amount, and duration of any such compensatory services. 41. District contends that its offer of 7.5 hours of behavioral services in the May 15, 2013, IEP was sufficient to provide Student a FAPE, and that Student presented insufficient evidence that Student required a 30 hour per week in-home ABA program to receive a FAPE. 43. First, to the extent Student contends that the IEP should have specified ABA services and not “behavioral services,” Student’s contention is not meritorious. District has the discretion to select the methodology to be used. Therefore, it was sufficient for the IEP to state “behavioral services.” As it happens, the behavioral services were based on ABA principles, but the IEP need not specify the behavioral methodology that the District will employ. 44. Next, to the extent that Student’s contention that he is entitled to one-to-one ABA services at the level of 15 hours or more per week is predicated upon the assertion that Student requires an individualized home-based program for medical or safety reasons, Student’s contention is unmeritorious, as is discussed above with respect to Issue 3A. 45. To the extent that Student contends that he nonetheless requires an intensive one-to-one discrete trial training program of at least 15 hours per week, Student has failed to meet his burden of proof. The only evidence that Student had any need for such a program was Student’s August 28, 2012, IEP amendment from Pajaro Valley, and Dr. Fineman’s report and testimony. Student’s Pajaro Valley IEP amendment was predicated upon a home program. There was no specific evidence that the ABA services provided for that IEP amendment were relevant to Student’s needs as reflected in the triennial assessments conducted by District in May 2013, or that they were relevant to a school-based program, such as the proposed placement at Terman. Moreover, there was no evidence that the services provided in the Pajaro Valley IEP amendment provided any educational benefit to Student, as there was no evidence that Student had met any of his IEP goals in that program. 46. Dr. Fineman’s recommendation of a 30 hour per week ABA discrete trial training program was based, in part, upon her understanding that Student had not previously had an intensive ABA program. Her understanding was incorrect, as Student had received such a program at The Bay School. Furthermore, she was not aware of Student’s proposed placement at Terman, where ABA principles were incorporated into the classroom, thereby augmenting Student’s individual ABA services. Finally, she believed that Student required discrete trial training to control his pica and promote his readiness to learn. However, Dr. Fineman’s information about Student’s pica behaviors was all secondhand, as she did not observe any such behaviors. There was no evidence that she had any data as to those behaviors. Thus, Dr. Fineman’s opinion as to how those behaviors should be mitigated lacks sufficient foundation to be persuasive. 47. Further, the testimony of Ms. Yamaguchi, Ms. Turnboo, and Ms. Davis demonstrated that discrete trial training was not recommended for children beyond the age of six, because it made them prompt-dependent and unable to generalize their skills. Their testimony was credible on this issue, primarily because the assessments performed by Ms. Syvertson, Ms. Lieberman, Ms. Turnboo, and Ms. Yamaguchi demonstrated that Student was already prompt-dependent and could not generalize his knowledge. Dr. Fineman had not reviewed these assessment results. There was no evidence that anyone had questioned or contradicted these assessment results. 48. Additionally, as was stated in Legal Conclusion 14, the correct inquiry is whether the program offered by the District provides Student a FAPE, regardless of whether it is the program preferred by Parents. Ms. Yamaguchi stated her opinion, without contradiction, that 7.5 hours per week of direct behavior services was sufficient for Student to work on his areas of need, such as learning functional skills, learning to generalize his skills, and learning to socialize. 49. Finally, Student contends that 7.5 hours of ABA services would not provide enough time to work on Student’s pica behaviors. However, there was no evidence to support this contention, especially in view of the following: (1) ABA principles are embedded in the Terman classroom, and they may be used to address Student’s pica behaviors besides his direct behavior services; and (2) Student’s pica behaviors may also be addressed as part of his OT services. Additionally, the “snapshot” rule requires that the IEP be evaluated based upon what the IEP team knows, or should know, at the time of the IEP. In this case, the District did not have sufficient information to develop a plan to help Student manage his pica behaviors because none of the District’s assessors had observed such behaviors during the May 2013 assessment. Once the District behaviorists take data, and the IEP team develops a plan based on that data, it may be appropriate to increase Student’s service hours. However, the IEP team of May 15, 2013, did not have knowledge, and could not be reasonably expected to have knowledge, as to what would be a sufficient level of services to support a behavioral plan to manage Student’s pica. 50. Under these circumstances, pursuant to Findings of Fact 1-108, and Legal Conclusions 1-3, 13-26, and 40-49, Student failed to demonstrate that the behavior services offered in the May 15, 2013, IEP were not sufficient to permit him to benefit from his education, and deprived Student of a FAPE. All of the relief sought by Student in his Complaint is denied. the extent to which each party prevailed on each issue heard and decided in this due process matter. District has prevailed on each issue heard and decided in this matter.